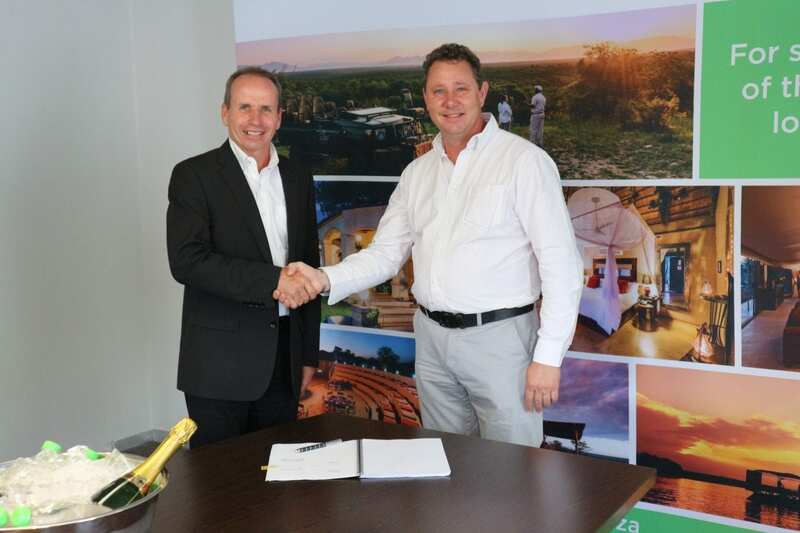 (Left) Neil Bald – aha Hotels and Lodges CEO & (Right) Joris Bertens- Managing Director of Sefapane Lodges & Safari.aha Hotels & Lodges is pleased to announce the latest addition to the aha family by securing the full management and marketing contract for the Sefapane Lodges & Safaris in Phalaborwa, Limpopo province effective as of 1st March 2017. Sefapane Lodges & Safaris is situated at the Phalaborwa Gate just 1 km away from the Kruger National Park. Set amongst the magnificent bushveld landscapes, it offers rich cultural attractions, including the scenic Panorama Route. 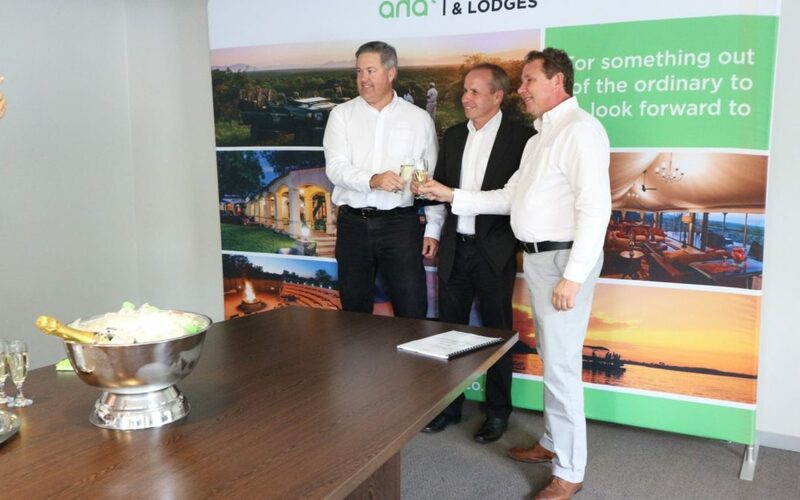 Neil Bald, aha Hotels & Lodges CEO says “We are very pleased to welcome Sefapane Lodges & Safaris to the aha family. Going forward the establishment will be known as aha Sefapane Lodges & Safaris and will be fully incorporated under the aha brand. Managing Director of Sefapane Lodges & Safaris, Joris Bertens says they look forward to this partnership. “aha Hotels & Lodges are experts in hospitality management and marketing. We are confident in their imminent contribution to the property’s further success as we join their portfolio”. The 4 Star aha Sefapane Lodges & Safaris presents 3 lodge areas. The Sefapane Main Lodge consists of traditional thatched designed rondavels and comfortably designed safari houses. The Sefapane River Lodge’s rondavels are located on the banks of the Olifants River in a private game reserve, which forms part of the Greater Kruger National Park. The Sefapane Tented Camp offers family tents and dome tents. The Calabash Grill restaurant serves African flavoured cuisines with modern favourites and local specialties.